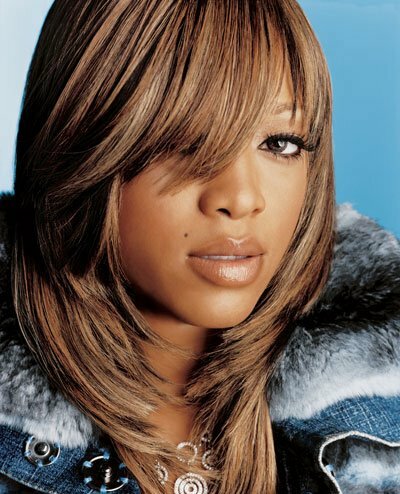 Da Greasy Guide: Worldwide: Trina's "With Friends Like These"
T.Y. Entertainment is proud to announce the Black Family Channel to air the pilot for Trina's "With Friends Like These" sitcom, where the Diamond Princess character Cleo inherits a beauty salon from her deceased aunt. Cleo quickly learns all is not glamorous, the beauty salon requires a lot of work and in addition to inheriting a salon she's also inherited her aunt's arch rival. This is not Trina's first time at acting, the Diamond Princess made her acting debut in the Lions Gate feature film A MIAMI TAIL. The Glamorest Life is fitting for the Diamond Princess. In addition to having her "With Friends Like These" sitcom pilot which she starred, co-created and co-produced aired by the Black Family Channel, her single "Here We Go" featuring Kelly Rowland is in heavy rotation, her Diamond Princess Perfume is receiving rave reviews and she's developing her Diamond Dolls Modeling Agency for women with low self esteem.